We develop mobile-friendly responsive websites for businesses of all sizes. To Get Responses... Be Responsive! 55% of all searches are from mobile devices, we make sure your website functions beautifully at any size. We use one website that works for all devices and browsers. This is your first impression, so we make it a good one. Call 201-314-1303 to learn more. CALL 201-314-1303 TO LEARN MORE ABOUT fixing your online presence with a website from Village Marketing Co. Looking to update an outdated website? We have made it as simple as possible for you to take an existing website and make it new again. Do you dream of selling online? Bring your e-commerce or drop shipping concept to life. Start making sales and tracking business. 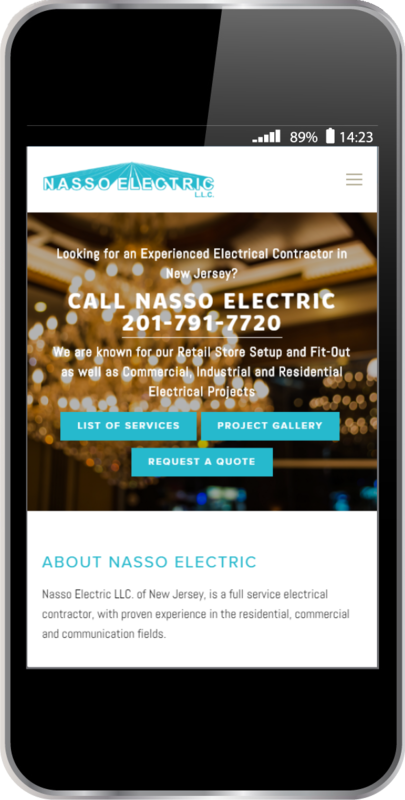 All of our websites are mobile responsive and mobile optimized. Here are five benefits for mobile friendly websites that you may not be aware of. Is getting more customers to contact you important for your business? According to Google, it should be. We design and develop every website with a complete assessment of our clients' business goals, customers, competition, and their market. We then create an overview of a successful marketing strategy for your unique business. For most of our clients, this entails developing a professionally designed responsive website suited for your business needs and your customers. We develop websites with powerful content, high resolution images, and the modern functional features your clients expect from a cutting edge website. With us, you build one website, one time, and it works on every device and screen imaginable.